Oats, barley, and other grains. USDA photo by Peggy Greb. The programs within USDA’s Food, Nutrition, and Consumer Services (FNCS) strive to provide Americans with the assistance and information they need to maintain healthy lifestyles. In achieving that mission, FNCS relies heavily on the advice of experts, including the U.S. Food and Drug Administration (FDA). Recently, the level of arsenic in rice has received increased attention, and FDA has proposed a maximum allowable level of arsenic in infant rice cereal products. Because of the new proposed guidance issued by FDA, which is open to public comment now, USDA is working to assist growers and processors wishing to utilize their products for infant rice cereal to ensure that their rice does not contain amounts of arsenic that surpass the new limit of 100 parts per billion (ppb). So what does this mean for FNCS nutrition assistance programs? We encourage our program participants to eat a variety of grains as part of a healthy diet, including whole grains. This advice is consistent with the guidance of the American Academy of Pediatrics. 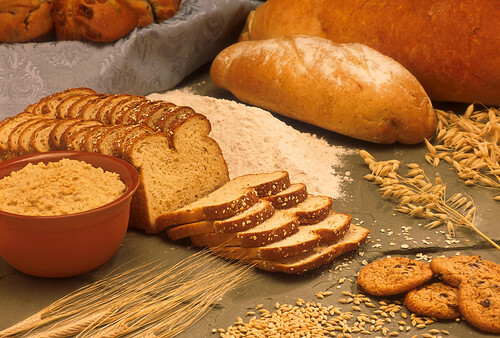 Whole grains contain a great amount of benefits: They are rich sources of vitamins, minerals, fiber, and other nutrients that help keep you healthy and strong. Along with giving you an extra boost of energy and making you feel full for longer periods of time, the minerals in whole grains help maintain normal muscles and nerves and a healthy immune system. Rice and rice products remain suitable options for grain consumption and will continue to be included in WIC Food packages, and served in schools, daycare centers and homes, and other institutions that operate a USDA nutrition assistance program. However, keep in mind that while rice and rice products remain an option, they are not the only grain options provided by these programs. For example, WIC state agencies allow a wide selection of other infant cereals including oatmeal, barley, and whole wheat. This is also the case for daycare centers and homes that operate the CACFP. You can embrace a variety of grain at home, too. There are a number of ways to include it in your diet including pastas, breads, tortillas, crackers, pancakes, cornbread, muffins, and oatmeal. Try out different grains in mixed dishes, such as barley in vegetable soup or stew and wheat pasta in a casserole or stir-fry. Have popcorn, a whole grain, as a snack; use dried herbs in place of salt or butter to keep it healthiest. Use rolled oats or crushed, unsweetened whole grain cereal as breading for baked chicken, fish, veal cutlets, or eggplant parmesan. Try an unsweetened whole grain cereal as croutons in salad or in place of crackers with soup. Add whole-grain flour or oatmeal into cookies or other baked treats. As part of our continued commitment to ensuring children and families have access to a healthy diet, USDA has made historic improvements in many of its nutrition assistance programs. In the past six years, USDA has updated nutrition standards for school nutrition, updated the WIC package to include whole grains, low-fat dairy, fruits and vegetables, expanded the scope of the SNAP nutrition education program, and supported an unprecedented growth in the number of farmers markets that accept SNAP and WIC benefits.